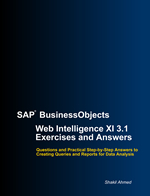 Practice Questions for Web Intelligence XI 3.1 with step-by-step Answers. 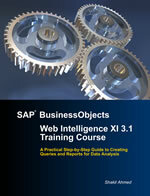 Clear step-by-step instructions using sample data provided by the SAP BusinessObjects install. Other content is available from our downloads page. 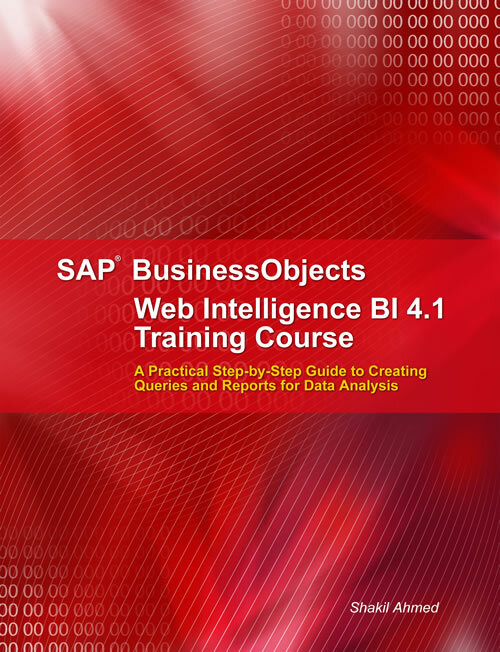 Become proficient in developing reports using Business Objects Web Intelligence, from writing your first query to advanced topics in data analysis. Visit our blog for tips, tricks and advanced topics relating to Business Objects, Data Warehousing and Business Intelligence. 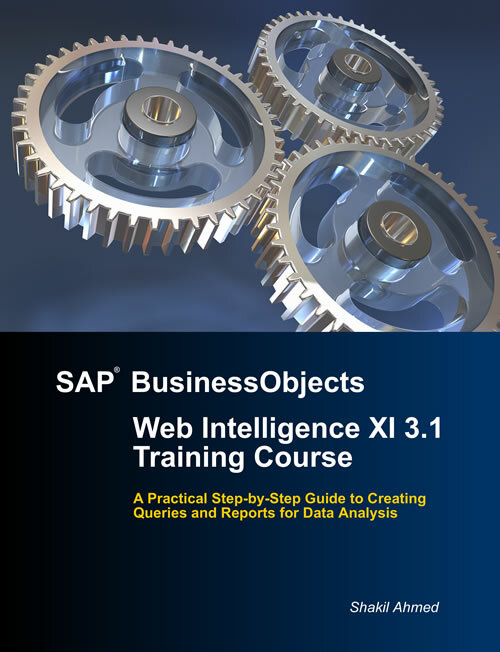 Based on instructor led classroom training, this is the most structured and comprehensive guide to Web Intelligence for creating queries, formatting reports, analysing data and sharing information. 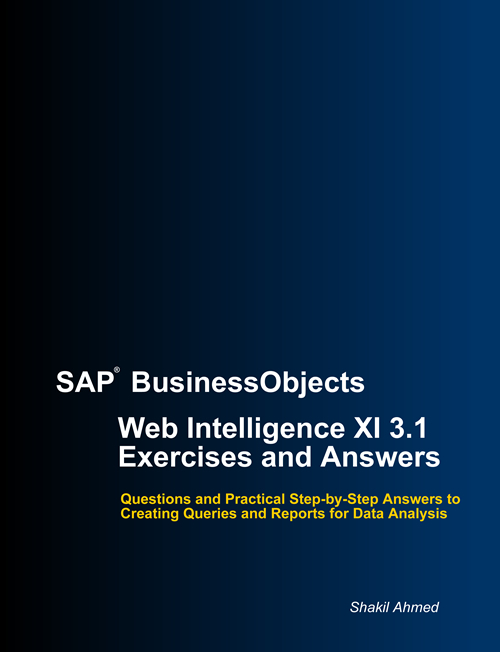 Learn how to use Web Intelligence at your own pace by following the practical step-by-step examples covering all aspects of SAP Business Objects Web Intelligence. Written to further your knowledge of Web Intelligence using practical exercises covering all aspects of writing queries, formatting reports and analysing data. Can be used to test your knowledge if you are already familiar with Web Intelligence, or have been trained elsewhere and want to confirm your learning. Based on instructor led training classes, our books offer practical step-by-step instructions to learning and using Web Intelligence. 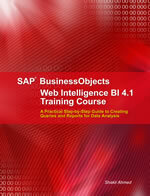 The books are aimed at Developers and Business Users who have a need to create or enhance reports. The books are available to buy from www.LuLu.com using the links on this site. webiworx is here to accompany the books and our aims are to provide further practical information on how to use Business Intelligence, Business Objects and Web Intelligence through blog postings dedicated to tips, tricks and advanced development techniques. Sample files used in the books can be downloaded here. Please feel free to make contact to provide feedback and make suggestions.